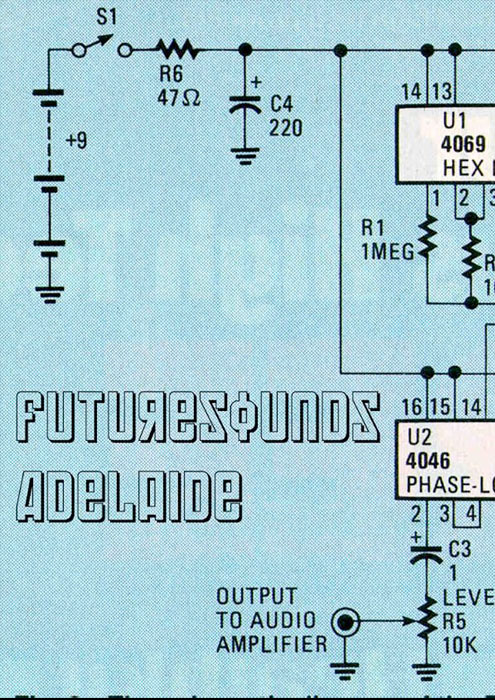 FUTURESOUNDS is a South Australian underground electronic music collective. They’ve previously run three major events, as well as the fortnightly electro night SIDECHAIN. 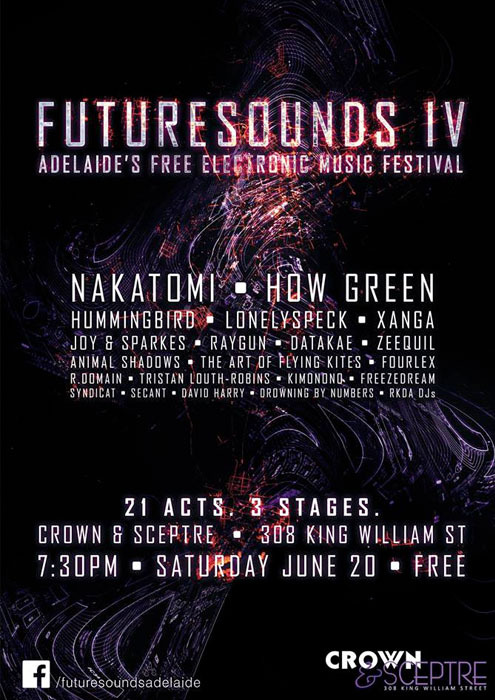 This Saturday (20 June) sees their most ambitious event yet, instalment IV, at a new venue with fresh faces and new acts: three stages, 21 electronic artists at the Crown & Sceptre. All free. See NAKATOMI, HOW GREEN, LONELYSPECK, JOY SPARKES, ANIMAL SHADOWS, RAYGUN, XANGA and many, many more. Also look out for their added activities and aesthetics, including usual lighting, plus table tennis in the beer garden and GIGANTIC JENGA. Did we mention it’s all free?